Today’s female collectors are much more discerning when purchasing timepieces. It’s not enough to shrink aman’s watch and cover it in diamonds, or to have a feminine pattern on the dial. Collectors are looking for complications, mechanical movements and, of course, pure artistry and impeccable execution. 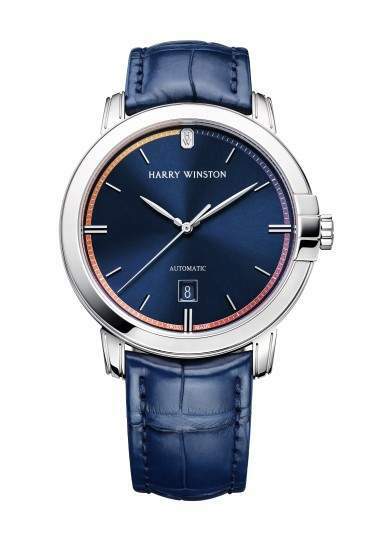 And if a watch has a quartz movement, it had better be so beautiful that the movement is the last thing on your mind. While Bulgari’s Serpenti watches have been one of brand’s most iconic pieces since the 1960s, it’s surprising to realize that there has never been a cuff-bracelet watch. 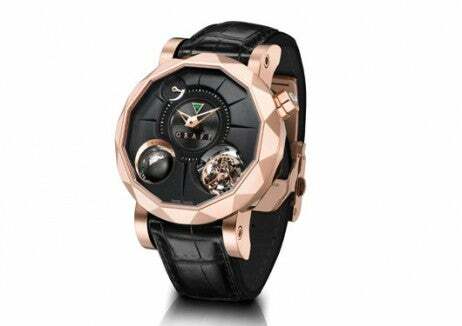 The artisans at Bulgari recently presented a timepiece you didn’t even know you were missing, but now you have to have. 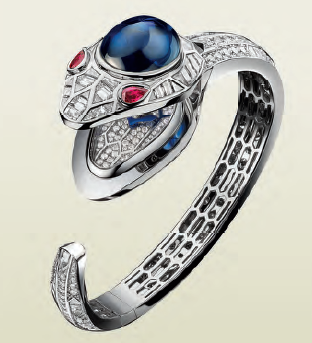 The Serpenti Seduttori, or seductive serpent,mirrors the recent Serpenti jewelry collection by focusing on the head of the snake; it is topped with a cabochon stone, here a 16-carat sapphire, and mesmerizing ruby eyes. To read the time, peek inside the snake’s jaws to find a stunning diamond dial powered by a quartz movement. This high jewelry timepiece is made from 18K white gold and has 13.80 carats brilliant- and baguette-cut diamonds. 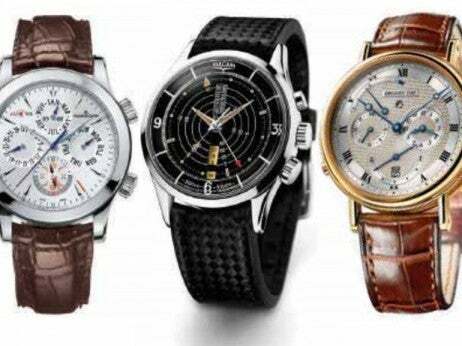 Not all jewelry watches need to have secret or gem-set dials. 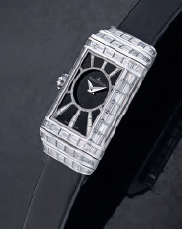 Jaeger-LeCoultre has played with the Reverso for over 85 years, and its most recent high jewelry piece is an homage to its enduring appeal, Art Deco aesthetics and the house’s expertise in both watchmaking and gemsetting. 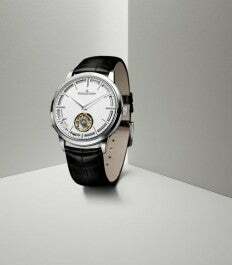 Jaeger-LeCoultre is famous for its tiny mechanical movements in ladies watches, here using hand-wound Caliber 844 that measures only 3.45mm in height and offers a 38-hour power reserve. The master gem setters showcase their skill with 250 baguette-cut diamonds totaling 5.65 carats on the case. There are two dials, one mother-of-pearl with black Arabic numerals and the other black aventurine and diamonds with an iconic pattern tracing the hours.